TMA WM NEXTGEN Kickoff Event- Fowling! 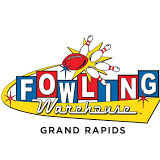 Please join the NextGen Group of Turnaround Management Association of West Michigan for our 2018 Kickoff Event- Fowling! What is fowling one might ask? Described as a wack combo sport featuring bowling, footballs and ingenious rules, you won't want to miss the opportunity to experience the newest sport to land in the GR area! Fowl on! Drinks and pizza included. Space is limited. Only 20 slots available! So act now! What to bring: Close-toed shoes and your drivers license! If you have roughly 8 years or less of experience in the turnaround industry (including: Bankers, lawyers, accountants, insurance professionals, valuation experts, liquidation and other insolvency professionals), please join us!